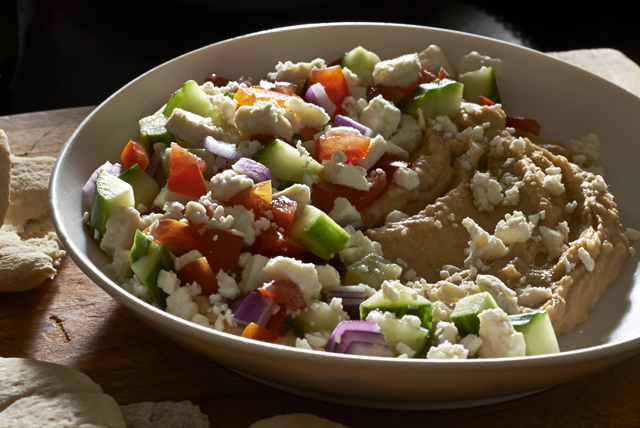 Hummus, a nice spread all on its own, tastes even better with chopped cucumbers, red onions and plum tomatoes—and a sprinkle of crumbled feta cheese. Spread Hummus Dip onto plate. Top with layers of all remaining ingredients. Serve with crisp crackers, pita bread or a variety of fresh veggie dippers.